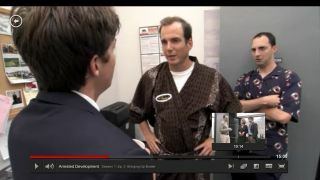 Not a fan of Arrested Development? No more having to pretend otherwise! You know that awkward moment when you have friends over and you log into Netflix and it tells you that you recently watched Geordie Shore when it was actually your mum halfway across the country using your account but you have no way of proving it? Well it happens, we promise. The good news is that Netflix is solving this problem with the introduction of separate user profiles, which can be used by different people sharing the same account. This is something TechRadar was told about a few months ago during a sit down with Netflix, so we're pleased to see it actually happening. Todd Yellin, VP of Product Innovation at the company SAID at E3 that Netflix was still working on the feature, with no release date currently set.